The μPG 101 is an easy to use micro pattern generator for direct writing applications and low volume mask making. The system can be used for applications like MEMS, BioMEMS, Integrated Optics, and Micro Fluidics. The system is now available to use in the new clean room. Address grid down to 120 nm for the 3 μm. AZ9260: Another Clariant resist with higher quality that can be coated with higher thickness. 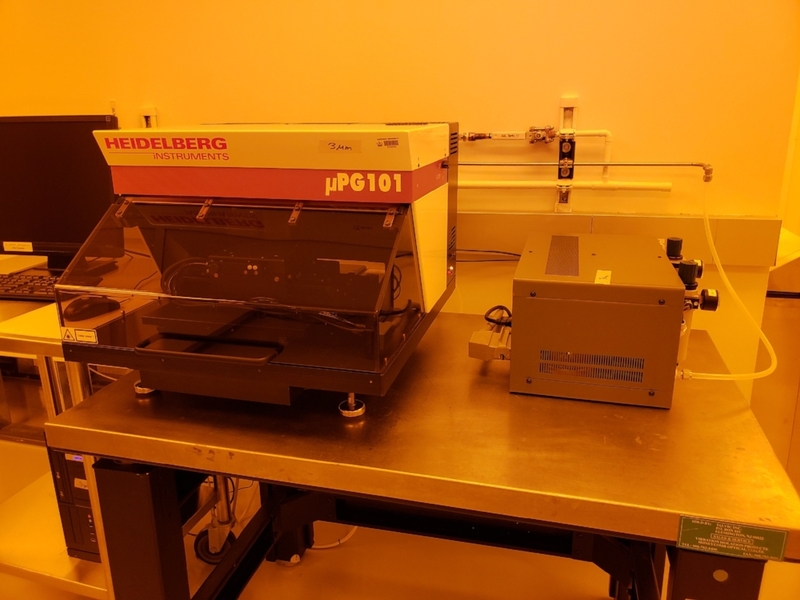 For additional information about the Heidelberg µPG 101 Laser Writer, please contact Dr. Jen Yu at jy2488@columbia.edu or email the clean room staff at cnicleanroom@columbia.edu.